Show your Capital One card to get in to the Capital One Fan Zone at Final Four Fan Fest, before doors open to the public. Fan Fest presented by Capital One cardholder benefits open to eligible Capital One credit and debit card holders. Private label retail cards are excluded. Access to events may be limited and available on a first come, first served basis. Fan Fest cardholder promotions end 4/8/19. Capital One is a federally registered trademark. All rights reserved. 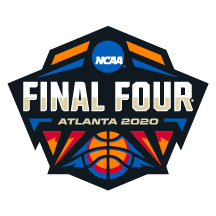 NCAA, Final Four and March Madness are trademarks of the National Collegiate Athletic Association. © 2019 Capital One.